Online fundraising helps you create a personal fundraising page that you can share with friends, colleagues, family or your community in order to raise funds for Hopelink. Use your creativity and passion to take an active role in fundraising, donating and raising awareness. Choose from the options below to get started. It is easy to set up, and we are here to help you with every step of the process. Give the gift of Hope! or anniversary by helping those in need. 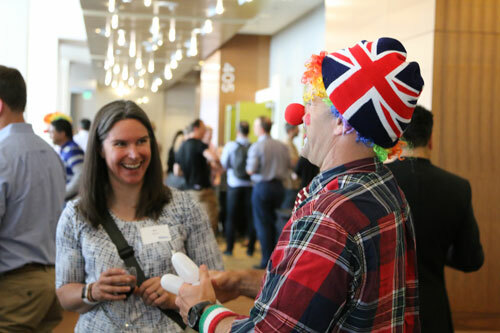 Employee engagement, philanthropy, fundraising and clowns helped Slalom Consulting in Seattle tackle childhood hunger by raising $25,694 for Hopelink’s food program during the summer. Local student Nate Getz decided he wanted to impact his community in a positive way. 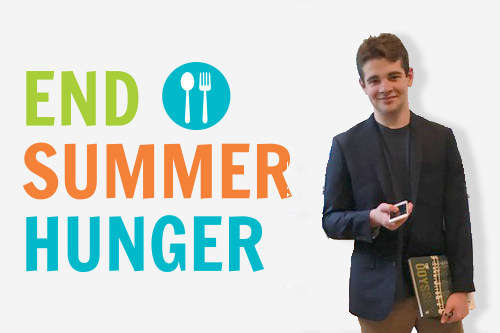 Rallying online, Nate raised $2,550 for local children who may not get enough to eat during the summer. Download our toolkit to see how you can start making a difference today!